If you’re not bidding on brand terms, you could be making a huge mistake. Find out why brand keywords are a must to compete in the paid search market. The world of pay per click marketing has come a long way since its inception. The days of filling your campaign with keywords that cost you five cents per click are gone, and the market has only become more saturated and competitive. As click costs increase, many brands question whether to bid on their own brand name, wondering if it is worth it to pay for something they already rank for in the organic results. Do you find yourself wondering the same thing? Let's dig into the details of why bidding on brand terms is a must in today’s paid search market. Overall, these keywords tend to be far less expensive than non-brand keywords, with a higher likelihood of converting, leading to a high return on ad spend – a no-brainer in terms of profit. 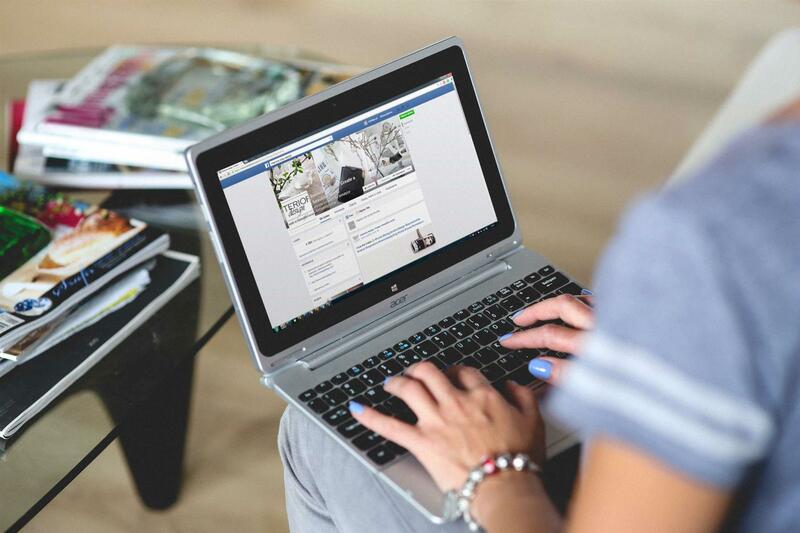 Here are four strong reasons why you should bid on branded keywords. Just because you aren’t bidding on your brand terms doesn’t mean your competitors aren’t. Tweet this! Keyword competition for branded queries is on the rise as companies realize they can acquire customers by bidding on their competitors' names. If you have a strong brand, chances are that your competitors want to dip into your success. How can you beat competitors who are bidding on your brand terms? Be better than them. A strong campaign will ensure a higher quality score over your competitor at a lower bid cost. If you bid a bit higher, the maximum bid for your competitor will rise, eventually chasing them out of the spot once it is no longer profitable for them. Maximize your paid real estate. Make sure to increase ad size by including ad extensions such as callouts, sitelinks, and reviews. Ad extensions play two roles: they take up more real estate, and they further educate the searcher. Your ad will take up more space, pushing your competitors lower on the page. The additional ad extensions also provide the user with more information to learn about why they need/want to click through to your site. Ad extensions give different sets of information: from value added propositions in callouts to deep linking with site links, and showing customer contentment with reviews and ratings to exact location with location extensions. Use as much information as possible to educate searchers and move the competition further below you. 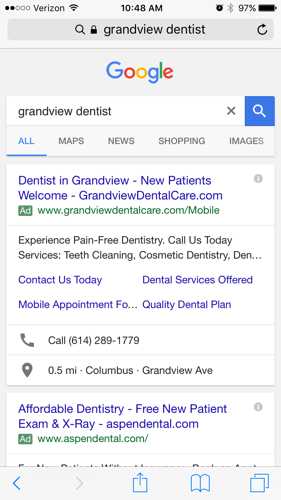 Take this screenshot of a Google search for “grandview dentist.” Taking up real estate is especially crucial on mobile. For many searches, in order to see organic listings, a mobile user has to scroll past shopping ads, search ads, and local listings. Typically, only 1.5 ads appear before a user starts scrolling. You can’t rely on a user to be that diligent to get to mobile organic listings. 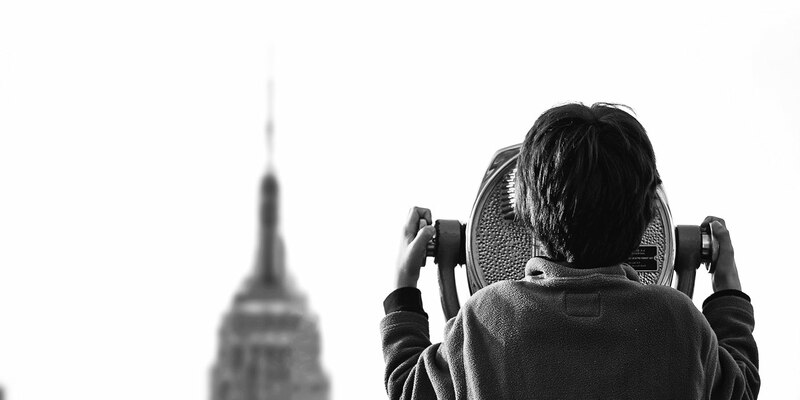 Make sure the first ad they see is you–not a competitor. Fight the legal battle. Stay up to date with search engines’ trademark policies. If your competitors' ads are infringing upon your brand’s rights, file a complaint with the search engine to have the ads removed. You can’t rely solely on your organic rankings anymore. At the end of 2015, Bing released data demonstrating that, when advertisers bid on their branded terms, they gained 30% more clicks, versus when they only had a top organic listing. While there is an 11% overlap that would have been captured by the organic listing, the overall gains are much greater. It is important to have strong strategies for both paid and organic that work together. In today’s market, it is no longer possible only to rely on your organic listings to capture all branded clicks. Running paid ads on branded keywords can often lead to constructive cannibalization, or when the presence of an ad increases the overall traffic volume. Some of this traffic may be stolen from the organic listing, but there are incremental clicks. Data shows that only 11% of retail brand ad clicks and 18% of travel brand ad clicks would have gone to organic listings, so the overall gains are clearly beneficial to running both. 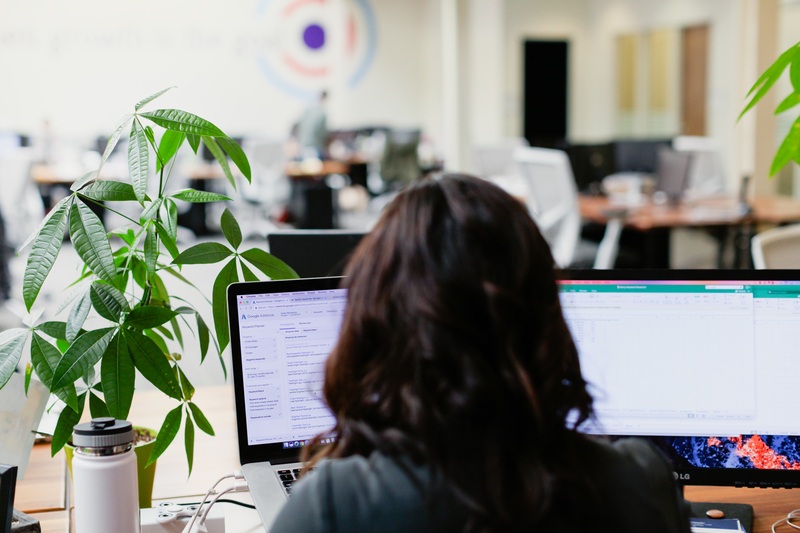 In addition to gaining more clicks for yourself by running both organic and paid listings, you will chase away competitor clicks. 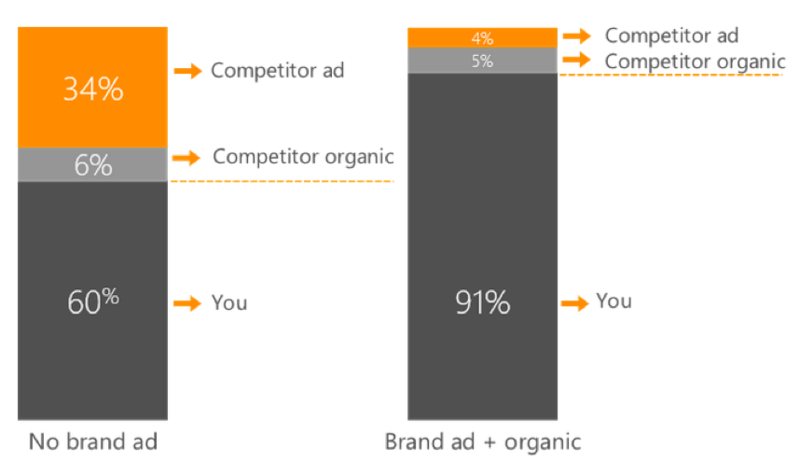 Bing found that when you have no brand ad running, you lose 34% of clicks to a competitor ad, and 6% to competitor organic listings. Compare that to when you run a brand ad + have a strong organic listing, you will only lose a total of 9% of clicks to competitors. In addition to winning more clicks, you can control your messaging more easily with paid ads than with organic listings. Try deep linking your users to other pages, and promoting sales and seasonal messaging with ad copy to achieve this. Consumers love branded searches – and if they are looking for your brand, chances are they want your product. These users are typically further down the funnel, and therefore more likely to make a buying decision. Consumers can be lazy, so make it easy for them to find –and ultimately purchase – your product. Many consumers mistake the search engine bar for the browser URL bar, and will need additional guidance to find your site if they end up searching for your name by mistake. It's true that brands once didn't have to worry about bidding on their own name in order to ensure presence in the search results, but this is no longer the case. In today's hyper-competitive marketing landscape, a strong dual strategy of both organic and paid listings for branded terms is the best way to capture potential customers, push out competitors, and heighten the success of digital marketing.